Crews responded to an overnight crash involving two tractor-trailers in Joppa early Tuesday morning. At just after 12:30 a.m., the Joppa-Magnolia Volunteer Fire Company and Kingsville Volunteer Fire Company responded to a crash along southbound Interstate 95 just north of the county line. 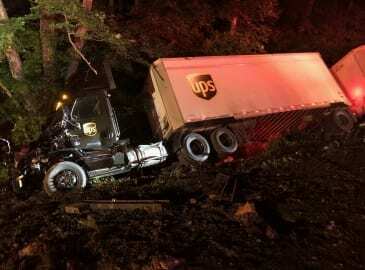 Firefighters reported that the crash involved two tractor-trailers along the right shoulder that had gone off the roadway and into the woods. An assessment of the vehicles found that their diesel tanks were damaged. The Harford County Hazardous Materials Team was requested along with the Maryland Department of the Environment Emergency Response Team to evaluate and mitigate any environmental impact. The trucks’ fuel tanks were pumped and drained. Neither of the drivers were injured. Maryland State Police and Maryland Transportation Authority Police units also responded to the scene. The crash was cleared at about 1:30 a.m. Hazmat and MDE units remained on scene throughout the removal and towing process.